I love trying out quality products and letting my readers know all about the experience. I especially like when I find a product with more than one use, So that it's not an item that just sits in a drawer or on a shelf until you need it for the one use it may have. 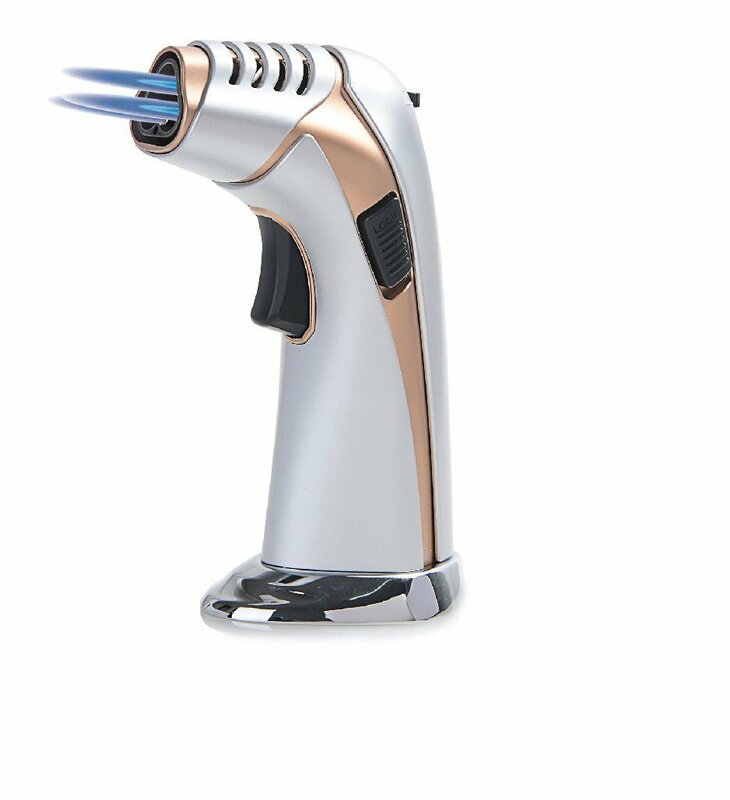 This Techno Triple Jet Torch Lighter can be used for several things. It's perfect to light cigarettes/cigars, light a campfire, or culinary uses. 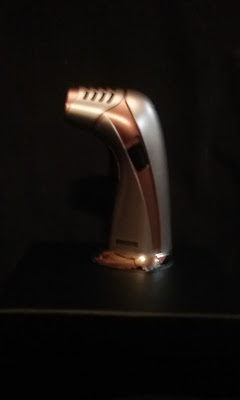 There are so many fun things you can do with a torch lighter like this in the kitchen. You can make a delicious creme brulee, or you can let your imagination run wild. I looked online for a few ideas, the possibilities are endless. I saw some really simple but amazing looking desserts, hors d'oeuvres, and much more. Just the simple bit of char and smoky flavor adds so much to a dish, not only to the flavor, but also the appearance. Somehow all the different dishes I was looking at. that little bit of browning or charring from the torch had a much more elegant look. Something as simple as a marshmallow with a Life Saver candy on top that was browned with a torch looked yummy. It's made with high quality materials to ensure no leaks and long lasting use. It's refillable, uses butane. It's very easy to use, has a click to ignite function and an adjustable flame. The triple jet flame is wind resistant, and it's heavy duty design makes it durable for so many uses. I like the modern look it has with the metallic finish, and it fits very comfortably in my hand. Very attractive sleek design, would compliment any decor just sitting on your coffee table. It is against the regulations to ship products that use butane filled, so this will be delivered empty, so you'll have to fill it before the first use.